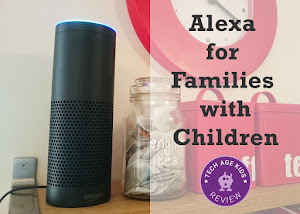 This is a fab age category to find creative tech and STEM focussed toys and gadgets. Little kids between the ages of 5-7 are curious, more physically able and love to learn. They may have just started school and will be exposed to many new topics and concepts. We had a difficult time to choose our top tech (STEM) gifts for this age category, as there are so many fantastic options to choose from. In no particular order, below are our favourites for little kids who love coding, robots, construction, and playing games. 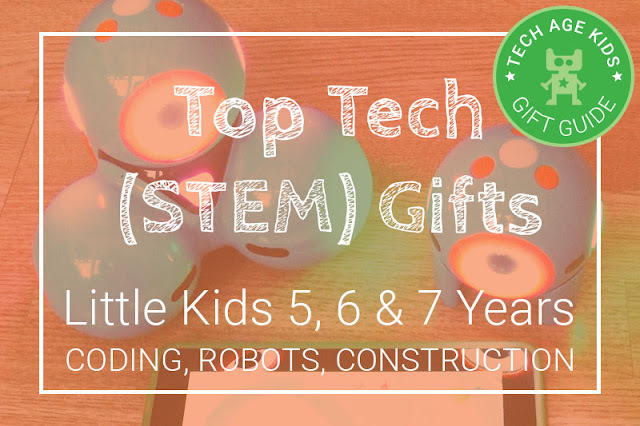 Our list is in no particular order and includes toys and games with a tech, coding, STEM and educational theme. Make Wonder have launched a new robotics kit for Dot to encouraging creative thinking and making skills. 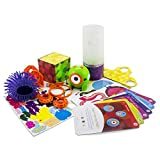 The Dot Creativity Kit is the same blue Dot robot, (but it's green) and still works with the Wonder, Blockly and Go Wonder Workshop apps. But the kit comes with a bunch of accessories to inspire creativity. We love their two robots, Dash and Dot, with lots of accessories for playing, coding and learning. 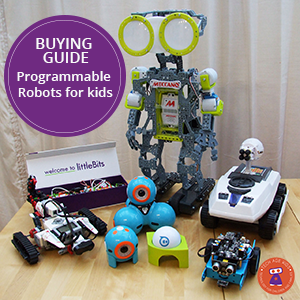 Dash and Dot robots are recommended for ages 8+, but they are very accessible robot for kids aged 5+. Read our review on Dash and Dot. The Osmo suite of games uses the connection between physical and digital play. The Coding Jam is new for this year and allows you to code music with physical blocks. A few things to note about Osmo is, firstly it is only compatible with iOS and secondly you need a "Game System" to play the games. When kids start they work through a series of tutorials showing them how it works. Basically, there are various instruments on screen and the blocks are used to play them. 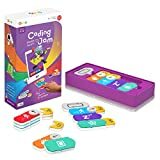 The Coding Jam is a separate game and not included in any of the game system kits. The Osmo games are recommended for ages 5+. Read our review. 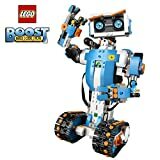 LEGO Boost is a fantastic new LEGO programmable construction kit. We've had the pleasure of reviewing it on Tech Age Kids and building several models with the kids and it's brilliant for kids that love LEGO, following instructions and then seeing their LEGO builds comes to life. It's great value for money as you really get a lot of LEGO, with a great variety of pieces to later build your own creations. It's definitely one of our top tips for the top end of this age category. An able 6 year old that loves LEGO would cope well with this kit! 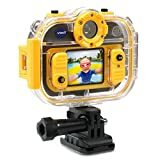 The VTech Kidizoom is a waterproof version of the original Kidizoom Action Cam. It's a great little gadget for small hands and learning photography and videography skills. The Action Cam has a colour screen so kids can view their photos and videos. The buttons are easy to press and have icons on so kids can easily see what they do. Read our review of the Action Cam. The Mover Kit is a programmable wearable device for children aged 8 and up. (we've used it with a 6 year old too!) 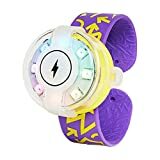 It's a hands-on practical device that will enable kids to make electronic gadgets that are relevant to them. There's a really low barrier to entry here. No need for kids or parents to be intimidated by complex setup. The Clay Circuit kit by Klutz, makes it really easy to explore circuits with play dough. The kit contains everything you need, you just need to add 4 AA batteries. There are 15 step by step projects to build and includes a 152 page book. It is recommended for ages 6+ under supervisor. The Mighty Makers World Travels kit is made by K'Nex and features great colours like purple, yellow, orange, pink and green. My youngest has been learning about famous building at school and this construction kit would make a perfect gift to make the buildings himself. Although the kit is designed with girls in mind, we think this is a great set of boys and girls as they learning brilliant engineering skills. Read our review of K'Nex Mighty Makers Range. Snow White Delux is a puzzle game for one player by Smart Games. Using the classic story of Snow White and the 7 Dwarfs children can learn logical thinking skills by solving puzzles. The game is recommended for ages 4-7 and includes a story book and 48 challenge levels to complete. The Boogie Board eWriter is great for kids, learning to write. We have one which is often used instead of paper to work out math sums, write lists or just draw pictures. The Scribble-n-Play version reveals scratch-art type colours as you write on the screen. It's really simple technology, you write on the tablet and erase everything by pushing a button. You can't store or connect what you've created. The Boogie Board is recommended for ages 5+. Read our review of the Boogie Board. The Kano Pixel kit is a coding and construction kit with 40 step-by-step coding challenges. You programme a screen of 128 LED light in millions of colours to make games, animations and pictures. 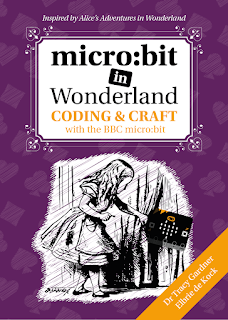 It works with a PC, Mac or Linux computer and you use a block-based coding language to programme it. It's recommended for ages 6+ and will make a perfect family activity for this age range. Read our review. All kids are different and there's a huge difference between what they can do completely independently and what they can learn a lot from when helped by a parent, grandparent or older sibling. We've tried to choose products that will be accessible to kids in the age 5-7 age range while offering enough breadth that they will challenge and appeal to those at the top end of the ability range. 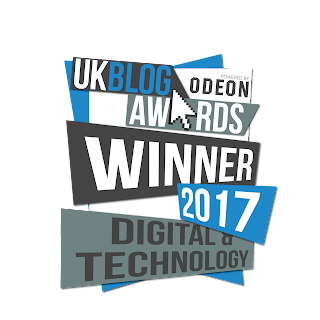 For 7 year olds who are really into their tech, make sure you check out our guide for bigger kids. For kids at the younger end of the age range with less experience check out our guide for preschoolers.